Compact and highly portable, the new aluminum 2.5 lb CO2 cylinder with CGA320 valve is ideal for small-capacity or mobile carbon dioxide needs. 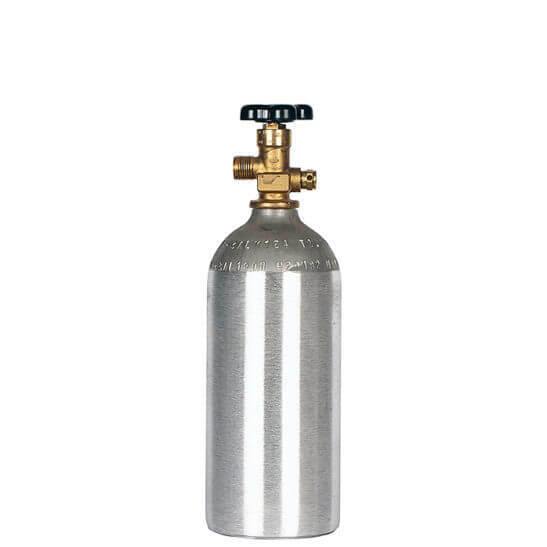 The cylinder body is formed to strict tolerances and incorporates thick aluminum walls for durability and long cylinder life, while still up to 40% lighter than steel CO2 cylinders of the same size. With aluminum’s exceptional corrosion resistance, this cylinder is optimal for CO2 and other wet gases. High-quality CGA320 valves are professionally installed prior to shipment.